Stay informed on the latest game releases! There are currently 0 users and 77 guests online. The classic ancient puzzle is now even more of a brain-bender! Featuring a special tile set and background for children, it's Mahjong fun for the entire family! Enjoy various game modes from easy to almost unsolvable. Choose a background and tile set that you like and get to solving! 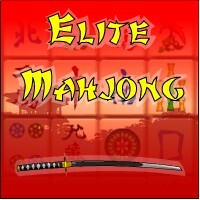 With absorbing music and sound effects, come relax with Elite Mahjong today!